This landmark work answers two fundamental questions – how, and why, did the Holocaust happen? Laurence Rees has spent twenty-five years meeting and interviewing survivors and perpetrators of the Holocaust. Now he combines this largely unpublished testimony with the latest academic research to create the first accessible and authoritative account of the Holocaust in over three decades. Through a chronological, intensely readable narrative, featuring the latest historical research and compelling eyewitness testimony, this is the story of the worst crime in history. Lawrence Rees asks two important questions: how, and why, did the Holocaust happen? By this, he does not limit himself to the treatment of the Jews, but all those subjected to the destructive genetic practices of the Nazis. Anti-Semitism, racial hygiene and a hierarchy of races were ideas that had been floating about since before World War One. The Nazis, under Hitler’s direction, took this to the (il)logical extreme: not only were they to be excluded from the Nazi society, they were to be removed from society and by death if necessary. 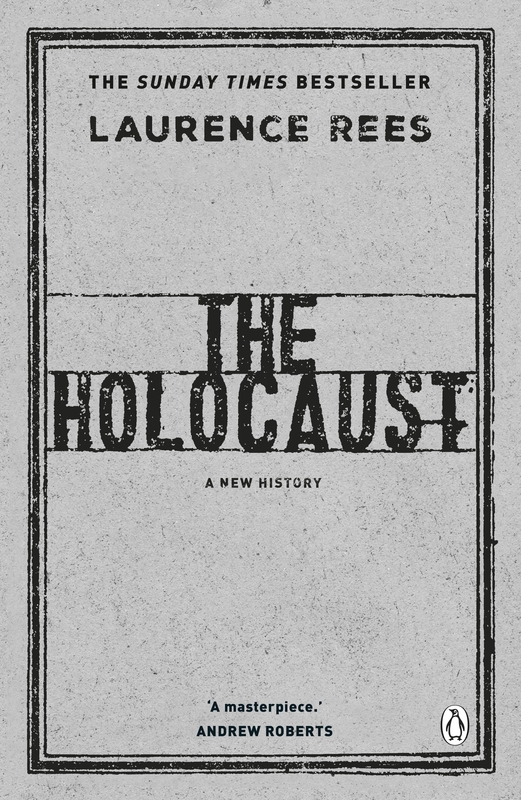 Rees plots the development of the Holocaust in 18 chapters, over 430 pages plus prologue, epilogue and endnotes. 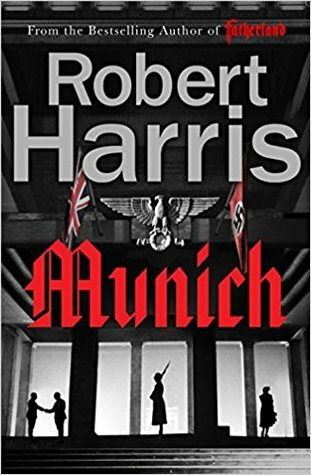 He follows a chronological sequence, examining the development of the various strands of the Holocaust as the Nazi party and then the Nazi state adopted and then promulgated its racial agenda. Rees also follows the two main strands of the Holocaust’s implementation: exclusion, and elimination, from society. 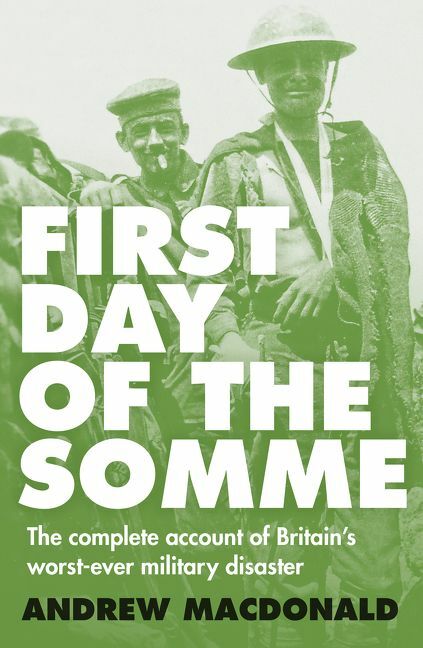 Lawrence Rees is a respected historian with a considerable corpus of work, much of it devoted to WW2 studies. This is another fine volume from him: well written, well researched and well presented on a subject that fascinates as much as it horrifies. Buy it. Read it. I thank Penguin Random House New Zealand for the review copy and apologise for the lateness of this review. 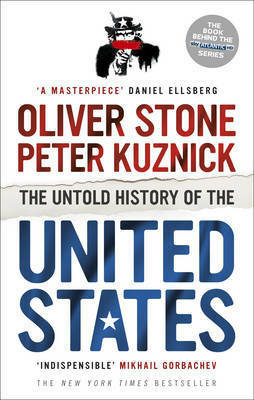 irector Oliver Stone and historian Peter Kuznick examine the dark side of American history, from the beginning of the twentieth century right up to the Obama administration. They ask whether America’s involvement in countries around the globe really reflects its much-vaunted democratic ideals, or self-interested action for poliitcal and economic gain. The Untold History is a meticulously researched and shocking picture of the American Empire, and its influence on the century’s defining events. Every country has a myth that its citizens usually subscribe to. In the United States’ case this is that they are the champions of liberal democracy and democratic freedoms. In this political history, Stone and Kuznick offer a view at odds with this myth by examining the behaviour of several administrations during key events of the twentieth and twenty first century. It is safe to say that the myth does not survive unscathed. Oliver Stone is well known as a movie director, and is known for his views on the American involvement and conduct in the Vietnam War. Peter Kuznick is a history professor at American University, Washington D.C. with a speciality in Nuclear Studies, often taking a position critical of the American myth. They also assert that the United States is an imperial power, de facto if not de jure. After the introduction, which lays bare their thesis, the book delves into Wilson’s presidency which they see as being a starting point of US imperialism. It then follows Roosevelt and The New Deal, Truman and successive presidents to Obama. Stone and Kuznick examine the degree various presidents were at the sway of their advisors and whether they had their own agenda regarding foreign and domestic policy. They also point out that US politics is frequently dominated by powerful lobby groups, whose ends and means are often in conflict with the American myth. This book does a good job of presenting its case; that the American myth is just that and the United States administrations frequently pays lip service to these core ideals. It also explains why North Korea is dogmatically opposed to caving to US pressure. It is a welcome antidote to the Whiggish interpretation of US history that is often paraded before us. Read this book. Alternatively watch the TV series it engendered. Sharon Murdoch, 2016 Canon Cartoonist of the Year, is a bold new voice in New Zealand cartooning. As the regular cartoonist for the Sunday Star Times and the Press, she provokes and delights readers with her witty and often hilarious observations, and her hard-hitting and insightful social and political analysis. In Murdoch, Melinda Johnston’s commentary sets the cartoons within their historical context, while her introduction locates the work within New Zealand’s cartooning history. 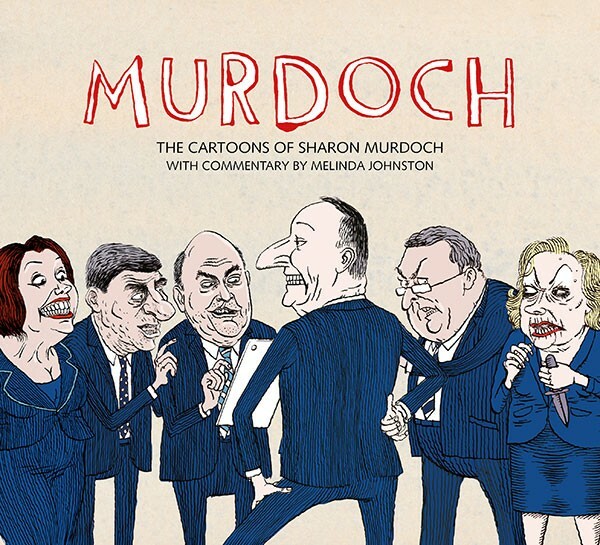 Featuring over 150 full-page cartoons, which highlight the breadth and depth of Sharon Murdoch’s work, this book will entertain and educate any reader with an interest in New Zealand’s contemporary social and political history. As a working cartoonist, Sharon Murdoch has been around for over 20 years. As a political cartoonist, the timespan is considerably shorter. And as an editorial political cartoonist… Melinda Johnston provides the text that puts the selected cartoons in context – when a topic is hot, cartoons need no explanation, but several years later, even key players may need to be re-identified. The book covers the range of Murdoch’s career: Munro the Cat from the crossword page of the Dominion Post, cartoons for the Xhosa Community and Child Development Centre when she worked in South Africa, commentary cartoons, and political cartoons. Her style is distinctive and more caricature than, say, Tom Scott or Neville Lodge who preceded her at the Evening Post. What sets Murdoch apart from most other New Zealand cartoonists is both she is a woman and is of Maori, Ngai Tahu, descent. This gives her a different perception of events. Frequently, Murdoch will draw a strip cartoon, instead of a single frame, which allows a narrative instead of a one line. Again, this is a departure from the norm for political cartooning. A book of cartoons is naturally going to be a quicker read than a series of essays. Johnston’s text is not intrusive and the selection of cartoons is good. I enjoyed the book immensely and recommend it to anyone. Three thousand years ago a war took place that gave birth to legends – to Achilles, the greatest of the Greeks, and Hector, prince of Troy. It was a war that shook the very foundations of the world. But what if there was more to this epic conflict? What if there was another, hidden tale of the Trojan War? Thrillingly imagined and startlingly original, For the Most Beautiful reveals the true story of true for the first time. 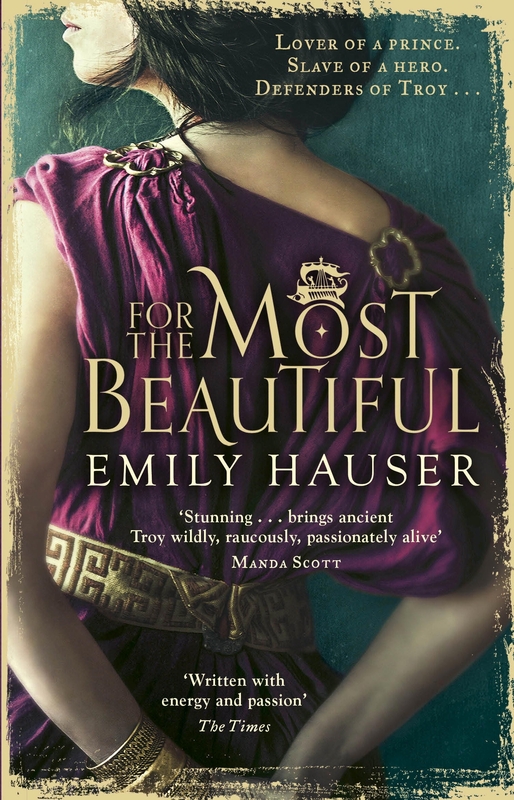 The story of Krisayis, daughter of the Trojans’ High Priest, and of Briseis, princess of Pedasus, who fight to determine the fate of a city and its people in this ancient time of mischievous gods and mythic heroes. This is apparently an attempt to write the events of the Iliad from the point of view of the female characters… to re-write an ancient story of war as romance. The problem with this is that Homer doesn’t give you a lot of female characters to work with. So the author decides to choose Krisayis (Chryseis) as her central character. The problem with this is that Chryseis has a tiny role in the Iliad with no connection to Troilus, and her story wasn’t developed into the romance of “Troilus and Cressida” until medieval writers got hold of it. So, we’re already several steps away from Homer. And that was only part of what irritated me… Maybe it’s just that I’m not into love stories. Or maybe it was that the attitudes of the characters seemed strikingly modern. Or simply that I read too many of Mary Renault’s excellent historical novels when I was young, which set the bar too high. But I failed to get past the first few chapters of this work, before casting it aside in annoyance. I suspect others like it better, but for me it was definitely opportunity lost. When of hundreds of Japanese captives arrive at Featherston POW camp, the tiny town is divided. Tensions run high and then, on 25 February 1943, disaster strikes. Three boys are there at the moment the storm breaks – and terrible, unforgettable events unfold before their eyes. 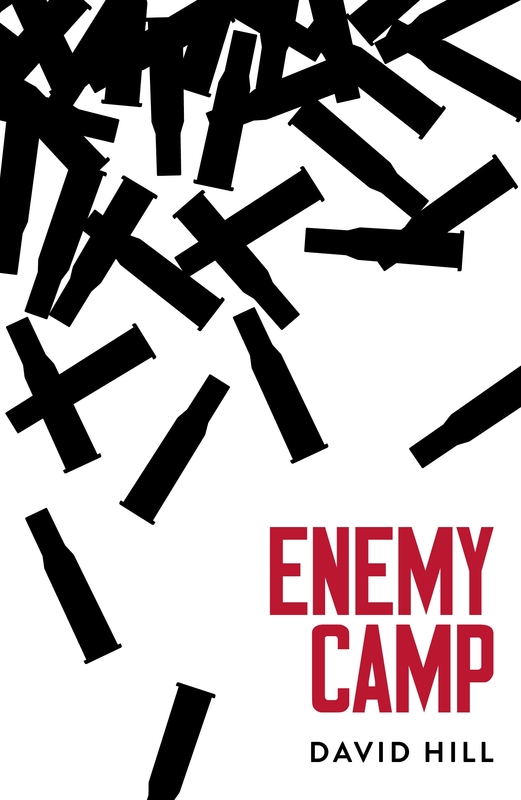 It’s 1942, and the tiny farming town of Featherston has a prisoner-of-war camp that can house hundreds of Japanese soldiers in it. Ewen, whose dad is a guard there, can’t stop wondering about the enemy just down the road. Some say the captives are evil and cruel and should be treated harshly – or shot. But when Ewen and his friends ride out to the camp to peep through the barbed wire, the POWs just seem like . . . well, people. Written as a journal Ewen keeps, this tells the events of the NZ POW camp through the eyes of a typical kiwi kid. Ewen and his best friend Barry ride out to the camp to see what the Japanese are like. They take along Barry’s little brother Clarry in a carrier attached to one of their bikes, as he had polio and his legs are weak. The boys are given Japanese lessons from an English speaking Japanese officer called Ito. From him they learn that for the Japanese in the camp “for us to be prisoner is to be dead person”. They realise people aren’t all good or bad and everyone is a fellow human being, regardless of race or religion. An important message to learn, especially in this turbulent time. I was really interested in this story as my Poppa was one of the guards – I found out after he died as he was ashamed of the Featherston massacre. Aimed at 9-14 yr olds, this is an addictive read for all ages. David Hill has written another enjoyable, fascinating book based on true events in NZ’s history.